I love discovering new writers. My latest discovery is Andrew Lam, an award-winning journalist who has parlayed his experience as a refugee of the Vietnam War into a memoir (Perfume Dreams, 2005), a book of essays (East Eats West: Writing in Two Hemispheres, 2010), and a collection of short stories (Birds of Paradise Lost, 2013) during the past decade. Lam is now working on his first novel. 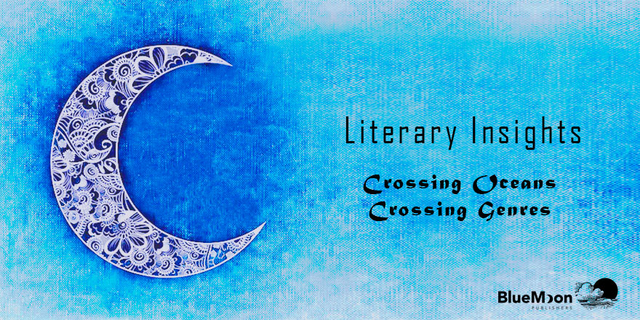 In this blog I discuss how Lam has translated his experiences into several literary genres. In the Writers’ Notes I provide insights into multigenre writing. Andrew Lam was 11 years old when he fled from Vietnam with his mother, sister, and two grandmothers two days before communist tanks rolled into Saigon in 1975. He didn’t know if he would ever see his father, a high ranking general in the South Vietnamese Army, again. From living a comfortable, upper-class life, overnight Lam’s family became homeless boat people, eventually landing in a Guam refugee camp before migrating to California. In non-fiction you have to stay true to historical events, be they personal or national… In fiction, it’s as if you enter a dream world that you created, but your characters have their own free will. They don’t do what you want them to do–they get into trouble, do drugs, fight over petty things, and do outrageous things that you wouldn’t want your children to do. In other words, you can only provide the background, the seeds–in my case the background of the Vietnamese refugee. When a well-rounded character takes over, he doesn’t lecture you about his history and how he is misunderstood. He lives his life, does things that are unexpected, and makes you laugh and cry because of his human flaws and foibles. Commit everything—each blade of grass, each teary-eyed child, each unmarked grave—to memory. Then when you survive and are older, tell your story. Tell it on your bruised knees if you must, tell it at the risk of madness, scream it at the top of your lungs. 1. Time and solitude: As Andrew Lam points out, writing fiction takes more time than nonfiction, especially if nonfiction is your traditional writing medium. You will need time and solitude to make the transition. 2. Experimentation: Be willing to experiment and take risks to share your story in more than one way. Enjoy the creative journey. 3. Recycling: If you’re writing in one genre and hit a roadblock, trying switching genres, writes Sweta Vikram. Instead of ditching what you have done, you may be able to recycle it. Working on different projects in multiple genres may help stimulate creativity and expand your writing skills. 4. Reading: Stephen King believes that to be a writer, an individual must both write a lot and read a lot. He advises new writers not to “begin with what you know,” which is common advice, but to start with “what you love to read” (On Writing, p. 158) as he did. Reading several hours a day, he stresses, “creates an ease and intimacy with the process of writing… where you can write eagerly and without self-consciousness.” (p. 150) Thus, writers who want to write in multiple genres, must be well read in multiple genres. 5. Advantages and disadvantages: Be aware of the advantages and disadvantages of fiction and non-fiction writing. Joseph Bentz, an author of both, says that writing a novel totally absorbs his mind during the process (events swirl through his head and pieces of dialogue intrude throughout the day). Writing non-fiction allows him to keep more of a distance. Additionally, writing fiction requires daily attention to sustain the novel’s forward movement, says Bentz, whereas non-fiction allows for taking a day off occasionally. Another advantage of writing non-fiction, says Bentz, is his sudden awareness of how many things he sees, hears, and reads that seem to connect to his topic. “I love collecting all these ideas and trying to make sense of it all,” he says. Sally Koslow, an author of both fiction and non-fiction, writes that “in fiction, creativity is the glue that holds the work together,” whereas “in nonfiction, curiosity becomes the cement.” Working between genres, she says, is “valuable cross-training for my brain.” And her favorite genre is always the one she’s currently working on. In which genre(s) do you write?